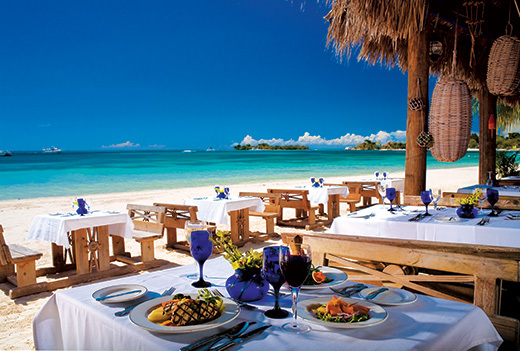 Discover the sumptuous flavours of fresh seafood with a distinctive Jamaican twist while digging your toes into the powdery white sand and sipping your Bahama Mama at Barefoot by the Sea. 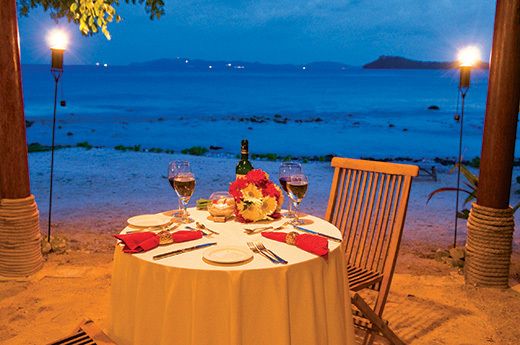 Feast on sumptuous cuisine and exquisite cocktails prepared by internationally trained chefs while you enjoy unparalleled service and spectacular vistas of Negril’s famed Seven Mile Beach with the beautiful sea just steps away. Explore tranquillity. Discover time. Redefine escape. 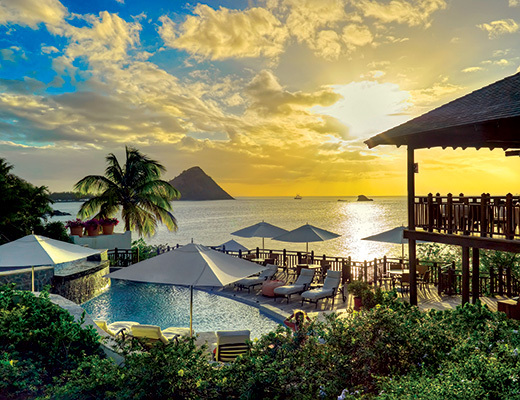 A boutique resort located at the heart of the British Virgin Islands, its natural beachfront setting is the ideal spot for some of life’s most memorable moments, like a sundowner on the sand. Munch island appetisers in the tropical tree-shaded courtyard, mix a drink at the honour bar and relax at the waterfront beach lounge, or sway the day away in a beachside hammock. A vivacious community of specialty shops, restaurants and cafés, designed around lush gardens, pedestrian-friendly walkways, a kick-off-your-shoes-sandbar and an observation tower providing a bird’s eye view of the Caribbean Sea, Camana Bay offers a medley of marvellous spots for a sundowner. Whether craving a creative cocktail at one of the top-notch restaurants or preferring a more casual picnic on the green, it is the perfect place to enjoy the setting sun, cold drink in hand. Hovering over the sea, like a bird in flight, The Cliff at Cap Maison is one of the most spectacular waterfront locations in the region. 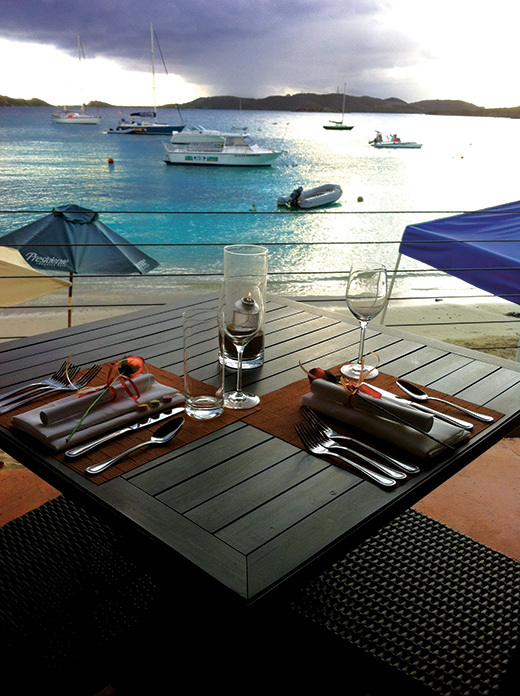 While the restaurant focuses on contemporary cuisine that incorporates French West Indian influences and fresh produce, the perched-upon-a-cliff deck provides cool breezes and technicolour sunsets – the ultimate backdrop against which to imbibe. With a menu built on diverse and creative American classics, the sophisticated waterfront restaurant is the perfect place for an evening libation. Located within Secret Harbour Beach Resort, the chic décor is as warm and inviting as the balmy tropical breezes enjoyed on the outdoor patio. Whether indulging in exotic Absolutely Lavender Martini or a local favourite, The Saint Thomian, the spectacular views and gracious service will whet your whistle.